Team Jovenel Moise is really afraid of Henry Ceant becoming the next head of government in Haiti. If Ceant becomes the next prime minister of Haiti, it will be over for president Jovenel Moise, Journalist Louko Desir. According to the journalist, someone very, very close to president Jovenel told him so. 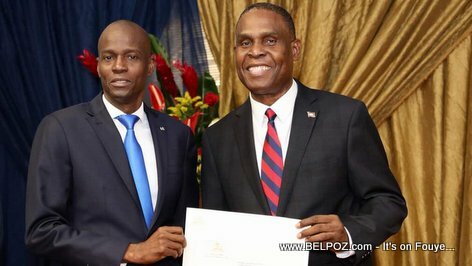 Could this be why President Jovenel Moise is not making any effort to help the nominated prime minister negotiate his way through parliament? « Haiti Politics - What happened to the Majority Depute group APH? Eske APH Kraze?